This is an incredibly beautiful first novel with overlapping stories of the birth of photography, a moving, forbidden friendships, and the uprising against British dominance in Ceylon (now Sri Lanka) in the 19th century. It is based loosely on real-life photographer Julia Margaret Cameron. It is the tale of British-born 40-something Catherine Colebrook whose fascination, even obsession with the emerging science of photography puts her at odds with the prevailing attitudes about Victorian women. At a time when women are expected to be concerned with home and hearth, Catherine flouts convention. Society frowns on her and even her daughter, Julia, says “this nameless pursuit shouldn’t be yours…..it’s a man’s avocation. If father isn’t taking it up, it’s not for us to do so!” Enter a young Indian youth named Eligius, forced by the death of his father into servitude in the Colebrook home. He comes to share Catherine’s passion for photography and “the light box” as he calls the primitive camera. Thus is the stage set for a deeply felt platonic friendship, but one that is taboo in status-conscious, color-conscious Victorian Ceylon. Add to this mix the seething unrest among the people of Ceylon towards their British overlords and the reader is treated to a fascinating story. 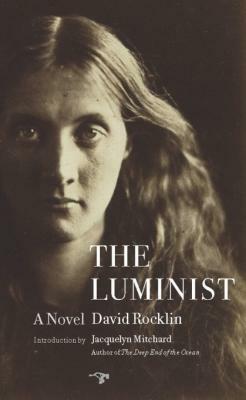 The word “luminist” comes from a word the root meaning of which is literally “drawing with light.” The author succeeds in doing that by his elegant words that enlighten and illuminate places, people, and times. Note: This book is rated C=clean read.